As demand for the Arctic’s resource riches heats up, Canada is set to spend billions of dollars on new patrol ships, polar satellites, upgrading transport and providing winter gear for troops, among other expenditures. In keeping with Prime Minister Stephen Harper’s pledge to increase Canada’s footprint in the Arctic, which he believes is essential for spurring the country’s economic growth, the Conservative government has announced a multi-billion dollar shopping list of everything from naval ships to weather satellites, Defense Newsreported. 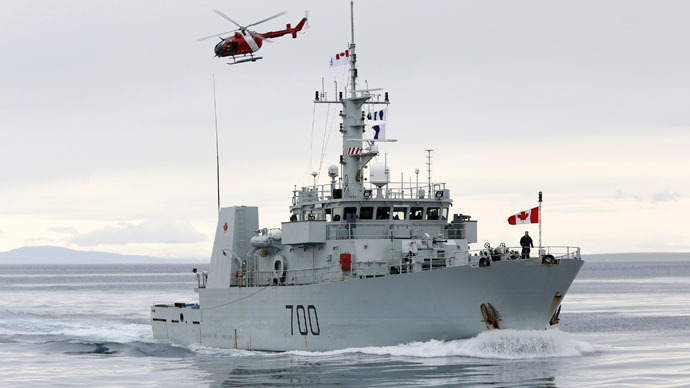 Topping the list are five new patrol ships for the Royal Canadian Navy, which will be outfitted with Lockheed Martin avionics at a cost of CAN $3.5 billion ($3.4 billion), as well as up to $50 million in technical upgrades for the Air Force’s CC-138 transport aircraft. The first steel will be cut on the Royal Canadian Navy's Arctic offshore patrol ships in September. Five ships will be constructed by Irving Shipbuilding of Canada, while Lockheed Martin is handling onboard combat systems. Also in 2015, a request for bids on an upgrade program for the Royal Canadian Air Force's CC-138 Twin Otter aircraft will be released, expected to cost up to $49 million. The contract will be awarded in 2016. According to Air Force spokesman Maj. James Simiana, the CC-138 Twin Otter will“undergo a life extension program to ensure the fleet remains safe and operationally effective”until a proposed new fleet of UTA [utility transport aircraft] scheduled to become operational in 2025. Meanwhile, for those troops that will be expected to work in the extreme northern climate, Canada plans to buy up to 100 all-terrain vehicles at an estimated price tag between $100 million and $249 million. The military doesn't plan to accept bids on the contracts until after 2021. The Arctic spending package will also include up to $49 million spent on new winter apparel, including snowshoes, skis and toboggans. Delivery of the gear is also not expected until 2021. The Canadian military is also looking to enhance its communication with the Arctic with the construction of two polar communications and weather satellites, which are estimated to cost $1.5 billion. Additionally, the government is looking to improve its Arctic surveillance capabilities, especially since it is certainly not the only country vying for a slice of the Arctic riches. The system, dubbed Polar Epsilon 2, will use ground systems to collect and process data from the three RCM satellites. Delivery of the systems is planned to happen before the year 2020. "The biggest thing will be coordination, so you'll want to have the ability to mount a command post, have good radios and radars, good surveillance,"Navy League of Canada analyst Norm Jolin told Defense News. "It's about command and control, power generation and communications." 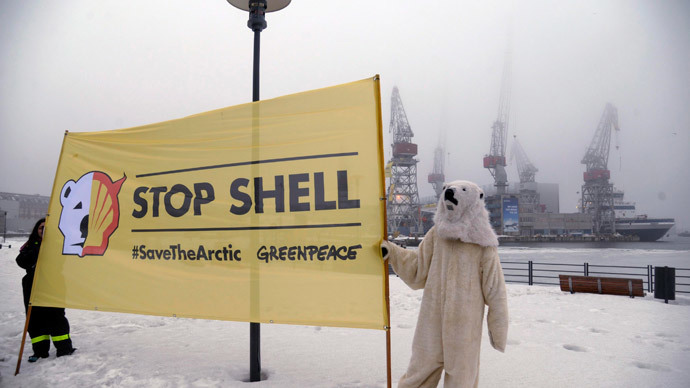 According to the US Geological Survey, the Arctic contains 30 percent of the world's untapped natural gas and 15 percent of its oil, with the majority of resources located offshore. Since the advent of global warming and the thawing of the ice caps, competition among the five nations that border the Arctic Ocean – Russia, Canada, Denmark, Norway, and the US – has been intensifying. In 2007, Russian explorers reached the bottom of the North Pole in a miniature submarine and planted the national flag to make a symbolic claim to their part of the Arctic. Since then, Russia’s Defense Ministry has announced plans to build 13 airdromes and 10 radar stations in Russia’s north. Last month, Russia said it would consider protecting its national interests in the Arctic with military meansif necessary. “The constant military presence in the Arctic and a possibility to protect the state’s interests by the military means are regarded as an integral part of the general policy to guarantee national security,”Defense Minister Sergei Shoigu said at a ministry meeting. Shoigu’s statement came just two months after Denmark said it would file a claim with the United Nations to a large slab of the continental shelf in the Arctic Ocean, including the North Pole. The move makes Denmark the first nation in the world to declare ownership over the North Pole itself. 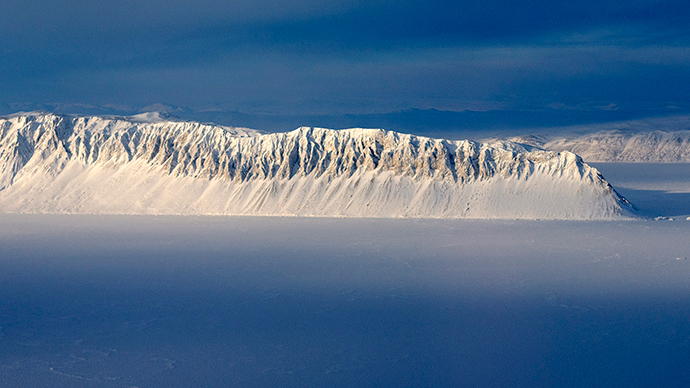 "The Lomonosov Ridge is the natural extension of the Greenland shelf. Coincidentally, the North Pole which is a tiny, tiny abstract spot lies in the area," Christian Marcussen, a senior geophysicist with the Geological Survey of Denmark and Greenland, told AP. The Arctic states are entitled to a part of the continental shelf extending to 200 nautical miles from their coast, with any ambitions beyond that to be backed by scientific and technical data.